$5000 Buyer allowance for updates with acceptable offer!! 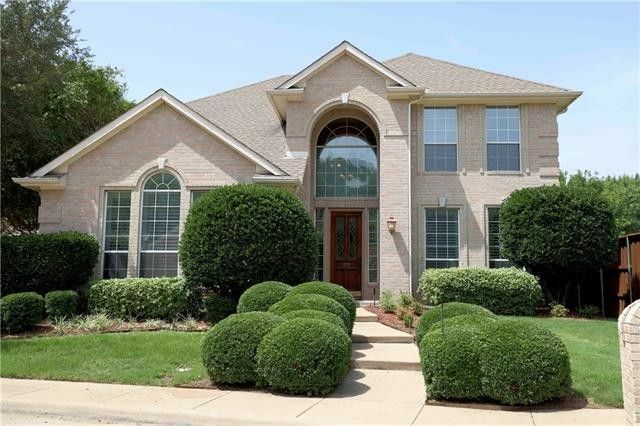 Stunning interior home in the desirable Turtle Cove gated community of Rockwall just adjacent from lakefront properties on Lake Ray Hubbard. This gorgeous home boasts a large open floor plan with hardwood floors, resurfaced cabinets, plantation shutters, stainless appliances and a rare Second Master with full bath and over-sized walk-in closet. Enjoy relaxing evenings in this over-sized backyard with beautiful flagstone pathways, shaded arbor, and framed with mature trees. HOA community offers yard maintenance, pool, tennis court, clubhouse and fitness access. Please visit our virtual tour link for an immersive online walk-through experience. Directions: From I-30 in Rockwall, exit Ridge Road and go north. Turn left on Turtle Cove Blvd. Upon entering thru the gate, turn right on Gullwing Drive. Home will be on the right.